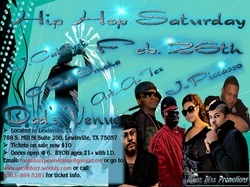 On February 26th it is on and poppin, Dad's Venue welcomes J-Piccasso, Ark-A-Tex, C Dot Smoka, and J.Catalyst together on one stage. Doors will open at 6pm. Dads Venue is located at 788 S. Mill StSuite 200, Lewisville, TX 75057. BYOB, that's right BYOB. For those who have never heard of this it means Bring Your Own Beer!!!! Tickets on sale now, cash tickets only so if you're interested call us @ (903) 884-5281 for more information. New Single Dumb Soon to be released! In his campaign Reach Out to Roc Nation, J.Catalyst will soon be releasing his newest single Dumb. The release date is set for New Years Eve. Bringing in the new year with a new track. If you havent heard the Reachout to Roc Nation album, you might want to catch up. 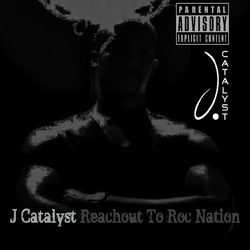 His album is available now at http://www.datpiff.com/JCATALYST_Reachout_to_RocNation.m171345.html. Jay-Z would be a fool not to sign this artist.